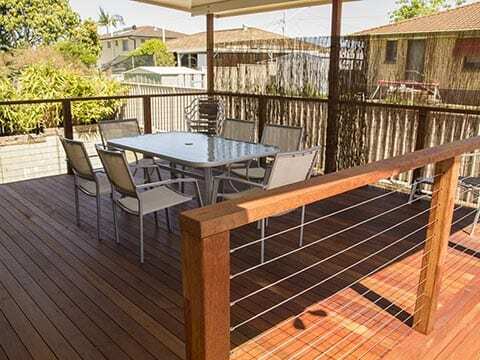 Brisbane Decks and Patios is a specialist deck builder, installer and renovator in and around Brisbane and the Gold Coast. 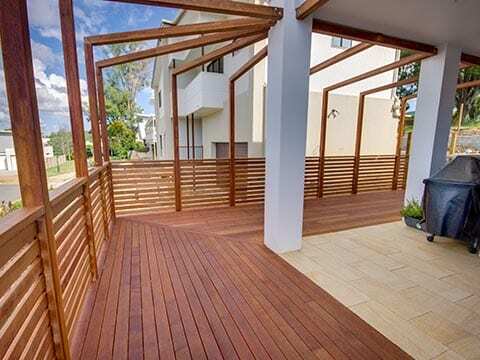 Brisbane Decks and Patios specialises in designing and building high quality timber decks and patio and we have developed the skills and knowledge to be able to provide you with the very best deck to suit both your budget and lifestyle. There are very few home improvements that can add more value to a property than the way an attractive, well constructed deck. Our wonderful Queensland climate makes a covered deck a great part of the Australian way of life. If you are dreaming of a place to host an alfresco dinner party or somewhere to sit protected from the sun and unwind then we should be your first choice. When it comes to deck building, design, supplying decking materials or maintaining a timber deck, we are the experts. With personally tailored deck plans to suit the dream you have, and your budget, we can provide a deck for your pool, patio, veranda, gazebo and balcony or even lay it straight over concrete or other stable substructure, hassle free. With so many different types and shades of timber decking to choose from, we can help you select the deck that’s right for you. From the first enquiry to installation we will consult with you to build the timber deck of your dreams. So, to experience the professional service of our most trusted timber deck construction company, contact us today. We offer every kind of decking from sustainable tropical hardwoods right through to composite decking. From the simplest deck to the most extravagant customised deck, we aim to exceed your expectations. Deck maintenance including cleaning, staining or oiling. We pride ourselves on the quality of our work, all our fully licenced carpenters are specialists in deck building and have many years of experience. It’s these years of experience that enable us to deliver the very best quality decks at affordable and highly competitive prices. We don’t cut corners in materials, fixtures or fittings. Our fully qualified and licensed electricians are deck lighting design and build specialists. We believe in transparency and trust, all our quotes are obligation free with no hidden charges and are clear on timings and budgets. Getting the job done to 100% customer satisfaction within the time deadlines and budgets are what we pride ourselves on. Contact Us for a free no obligation consultation on 0411 475 195 and let us build you the deck of your dreams. Alternatively, if you already have plans completed, please email us at info@brisbanepatios.com. We will then get back to you asap regarding a quote and an onsite visit.